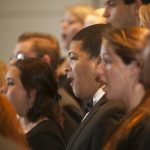 Curtain Call, the University of Lynchburg’s musical theatre group, will perform its March Cabaret at 7:30 p.m. Friday and Saturday, March 29 and 30, in the Dillard Fine Arts Center theatre. Tickets are $5 and available via Etix. Due to mature themes, the show is not recommended for children. 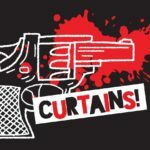 University of Lynchburg will present “Curtains,” a comical, musical murder mystery, February 28 through March 3 in the Dillard Fine Arts Center theatre. 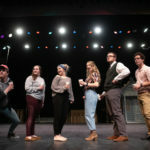 Bumbling pirates, funny mermaids, and the tale of an orphan boy all can be found in the University of Lynchburg’s fall production of Peter and the Starcatcher, the prequel to J.M. Barrie’s classic Peter Pan story. 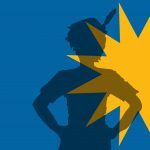 Peter and the Starcatcher opens at 7:30 p.m. Thursday, October 18, in Dillard Theatre. Additional performances will be held at 7:30 p.m. Friday and Saturday, October 19 and 20, and at 2 p.m. Sunday, October 21.